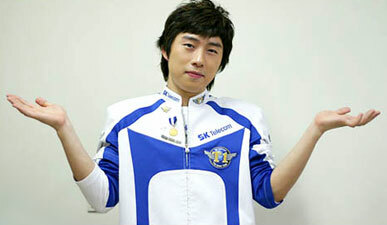 Yo Hwan Lim, better known under his StarCraft alias BoxeR, is throwing in the towel. The legendary Terran player has been coaching the SK Telecom T1 team, which he founded personally in 2002, since August 2012. BoxeR had recently been complaning of health issues, more in particular a shoulder injury. He has stated that he wants to focus on getting healthy, although there is some speculation that this means a de facto retirement for the eSports champion. A factor that could have played a role in his recent announcement could also have been the recent bad results the SK Telecom team is getting and the tons of criticism that have come with it. Another reason for his retirement is his possible marriage to South Korean actress Ka Yeon Kim, who had already made an announcement that she would marry BoxeR if the ratings of her new TV drama would reach 35 percent. Love conquers all, even a Terran invasion force. BoxeR, should he retire, will leave quite the legacy as a pro gamer; he was the highest paid eSports player, with a monthly salary of $ 100,000 and because of his importance to the sport, the South Korean military created an eSports team just for him during his compulsary military service. Koreans are nutjobs.